Welcome Rowena welcomed us using a verse that spoke to the weary who need refreshment, the anxious who need calming by the spirit. She offered welcome to the complacent to be challenged by Jesus' message. She told us that we were all welcome and would find rest in God's presence. Hymn TIS 693 "Come as you are" God's all encompassing love, inviting us to be his, no matter what our condition. No matter how many times we fail, we will be welcomed back when we realise our darkness and turn back to the light. Announcements Don't forget the breakfasts for Guys and Gals on September 13 at 8.30am. See Elaine or Margaret or David. "Awesome and great God, whose holiness is beyond our capacity even to imagine - we worship you. Your care for us is evident through your grace and mercy which we experience in Jesus Christ and through the power of the Holy Spirit." Rowena then acknowledged God's lavish love that empowers us and let us see his many blessings around us. She reminded us that we were on Holy ground and offered our praise. Rowena then asked for God's patience as we learn hospitality, confessing how we often create closed communities where there should be room for all. She confessed on our behalf that we exclude people because we only see the differences - in who we are, or in belief, or in viewpoint. Or because we think we know the right way, or the thing that must be done, or because we fear - the unknown - change - or perhaps even discomfort. She prayed: "Forgive us, dear God for those times we have let you down"
"Here is some good news. Christ is with us. Christ is always with us. We are forgiven people and we are given new opportunities to become more Christ-like each and every day." Rowena spoke of God's offer of refreshment and renewal in Jesus Christ. She then offered our gifts and asked for blessing on them and on our lives. Hymn TIS 629 "When I needed a neighbour" A hymn based on Jesus telling his followers that when we show love and service to even the least of the human race (and maybe all creation) we are showing that love and service to him. Time to think about that, and how we conduct our daily lives. Scripture Readings Psalm 119: 105-112. The psalmist speaks of God being his guide, affirming that he has remained true to his commitment, regardless of forces acting against him. Forever. Rowena introduced her word to us with a story about a pastor who was to be introduced as head pastor at a church of 10,000 adherents. 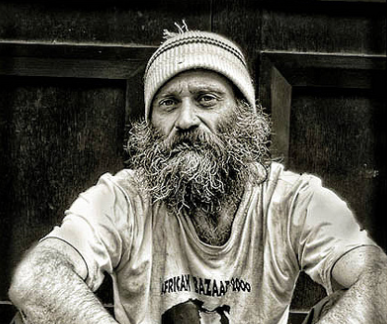 He transformed his appearance into that of a homeless person and walked around the church before the service, he smiled at everyone - 3 smiled back - the others gave him dirty looks or stared. He asked for coins for coffee and was refused. When he sat at the front of the church, he was asked to move to the back. Then the elders announced the presence of the new senior pastor. Applause broke out but died to nothing as the man walked to the front. He then took the microphone from the elders (who were in on it) and said, "Then the King will say to those on his right, 'Come, you who are blessed by my father, take your inheritance, the kingdom prepared for you since the creation of the world. For I was hungry and you gave me something to eat, I was thirsty and you gave me something to drink, I was a stranger and you invited me in, I needed clothes and you clothed me, I was sick and you looked after me, I was in prison and you came to visit me. The question is - how would we behave in such circumstances? Rowena then pointed out how we are all aware, as committed Christians of the task we have of showing Christ's hospitality to others. She highlighted how we have been blessed by God's extravagant love and welcome which shows how we can be in community together. But what of the stranger? The early church would not have survived without hospitality. There were no motels. Our hospitality might be a simple smile or hello. How often do we welcome these people who have fallen through the cracks in our society? Are we willing to risk our own comfort? Or safety? We can offer simple hospitality by refusing to stereotype. "Just imagine if our nation, Australia, could find the courage to generously open up our borders to those who seek shelter and freedom and friendship, we might just find again that God provides new life; a society with a greater depth of compassion, a deeper and more abiding live and a resultant vibrant and enriched community." Hymn TIS 473 "Community in Christ " An exhortation to all of us, as a church, to be Christ to the world. To serve, not just the people or causes we like, but listen for God's voice for direction of our energy and material riches. Rowena prayed to our gracious and Heavenly Father, giving thanks for the beautiful day, the rain that had refreshed the world and the sunshine that followed. She gave thanks for this world with which we have been blessed. Then prayer was offered for those injured and hurting in war-torn countries; those suffering from the results of misunderstandings that linger for centuries. Speaking for us all, she admitted that we feel so small and useless and prayed that we might understand how we could make some change. She then prayed for the personal needs of the congregation, their families and friends. She asked for God's hand on the unemployed and the penniless and asked that those who run the country will see that all share in its blessings. We then joined in the Lord's Prayer. Hymn TIS 681 "Lord let me see" A prayer to open our eyes to the way God sees other people and act towards them as he would. Seriously. Rowena sent us out with the message still ringing in our ears, and its effects revitalizing our lives, praying that God will provide for us, so that we will see Jesus in the stranger that we meet and that we will be led in the ways of unconditional love. L. Let us worship God our Father; The Lord be with you. P. And also with you. Amen! Hymn "Be still, for the presence of the Lord." An exhortation to stop and remember what the purpose of our meeting together is. To remember in whose presence we are. To remember, that regardless of how familiar we are with the setting we are in, we are on holy ground and should conduct ourselves accordingly. Hugh prayed to God, as our Father and Lord, acknowledging his wisdom and thanking him for the day of rest we have been given to worship him. Hugh gave thanks that we have been called apart for a while with fellow believers, through God's wisdom and compassion for this special time. Hugh prayed that we will see our lives as mission, blessing God's name and the worship we offer. Most merciful God, we confess that we have sinned against you in thought, word, and deed, by what we have done, and by what we have left undone. We have not loved you with our whole heart; we have not loved our neighbours as ourselves. We are truly sorry and we humbly repent. For the sake of your Son Jesus Christ, have mercy on us and forgive us, that we may delight in your will, and walk in your ways, to the glory of your Name. Amen. Hugh expressed our thanks and gratitude for all God's blessings: past, present and future. Hugh gave thanks for all things, including family and friends and asked that our gifts be blessed and used in God's service. Amen. Romans 12:1-2. We are asked to simply hand ourselves over to God's will. We are not to measure ourselves by the standards of this world but allow our God to transform us, so that we will understand his will for our lives. Matthew 16:13-20 The question asked of the disciples is asked of us. Who do we say Jesus is? And if we accept him as our Redeemer, we can be used to do amazing things. "Who do people say that I am?" Then, "Who do you say that I am?" A kind of oral exam. The disciples' answers are all different. "Elijah", "Jeremiah", "John the Baptist". It's very much the same now isn't it? People haven't any idea who Jesus is/was. We do all sorts of good and evil in the name of Jesus. We mould Jesus into the image that suits us. We should be moulding ourselves to suit him. 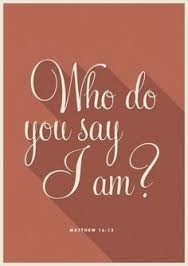 Jesus asks us who it is that we say he is, regardless of anything anyone else says. Peter's answer was, "You are the Messiah the Son of the Living God." The twenty-first century is a very confusing place, full of all sorts of religions and gods, cultures and traditions. They call us to follow them. It was Jesus who named Peter and it is Jesus who names us. He calls us just as he called Peter and the other disciples. He called them to build his church in a world that did not receive him. He is calling us to build his church today in this increasingly difficult world. We are all his church. Hymn TIS 655 "O let the Son of God enfold you" What do you hunger for? Let God's Spirit satisfy that hunger, whatever its nature. Take your hands off the wheel: give the Lord control of your life and experience the comfort and joy of His care. Val brought our prayers before God for those we love. 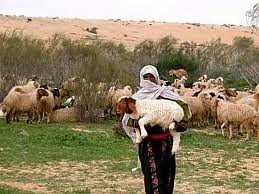 She asked God, the Good Shepherd, to care for all those in need - the sick, the infirm, the grieving and those whose faith is broken. She prayed for courage for those without hope. 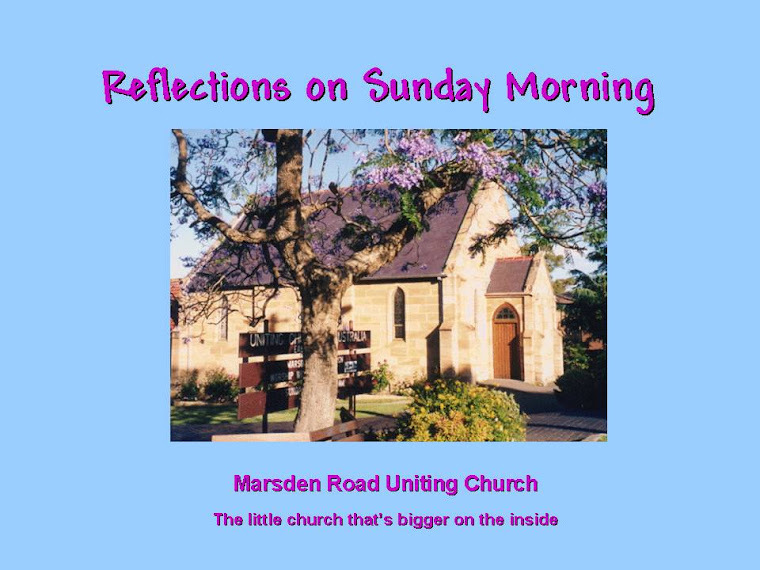 Val then prayed for the church worldwide and the special needs of Marsden Road Uniting Church. 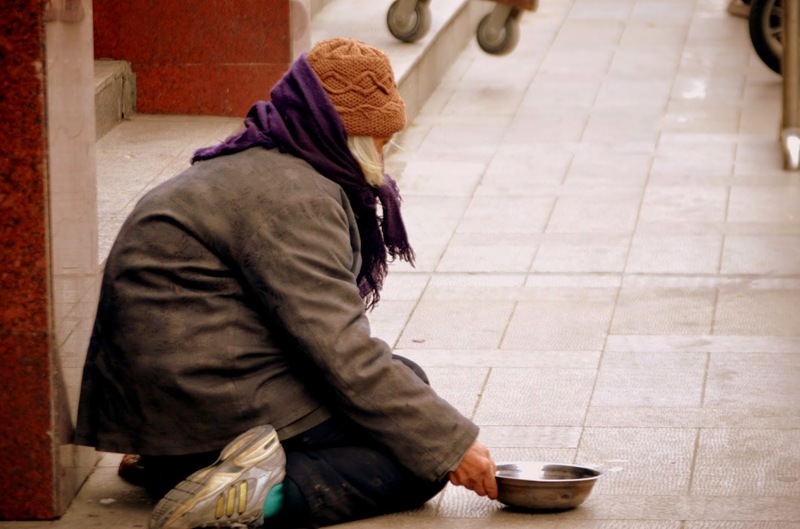 Val asked for God's hand on the homeless, those in drought affected land and all those who feel lost, in Jesus' name. Amen. We then joined in the Lord's Prayer. Hymn TIS 409 'O breathe of life'. A plea to be revived with life and power. A plea to be empowered to do God's work. The thing is: do we mean it? Do we really want to take on the challenge of reaping God's harvest or are we simply being religious and nice people? Decide now. Hugh prayed for God to be gracious to all of us and our family and friends. He then prayed that the Grace of our Lord Jesus Christ, the love of God and the fellowship of the Holy Spirit be with us all. Amen. Hymn TIS 720 "Halle, Halle, Hallelujah. The Call to Worship Hugh called us into the presence of God – to come with joy, thanksgiving, music and song as we affirm our “great God” our maker and shepherd. We prayed together for our eyes to be open to see Him and for our worship to be worthy of His presence. We asked to be transformed so that we can see the world through His eyes. John Marriott, the author of this hymn died in 1825 at the young age of 45. He was a curate and the son of a minister and in the words of this hymn he painted an almost magical picture of the instant power of God. A picture which leaves me with a feeling God will indeed; “Move o'er the water's face, bearing the lamp of grace and in earth's darkest place let there be light.” Hugh told us that this “Missionary Hymn” has been sung in more than 50 different languages. Announcements: There were details of a Bible Study and notice of the next “Equinox Outing” as well as thanks from Joan for the care and the food provided during the wonderful Progressive Dinner on Saturday night. Offering / Prayer: With our offering, collected by Oliver and Calliope with help from Alan and Nerida, we showed our gratitude for everything we have and Hugh prayed for the use of those gifts we were able to present. 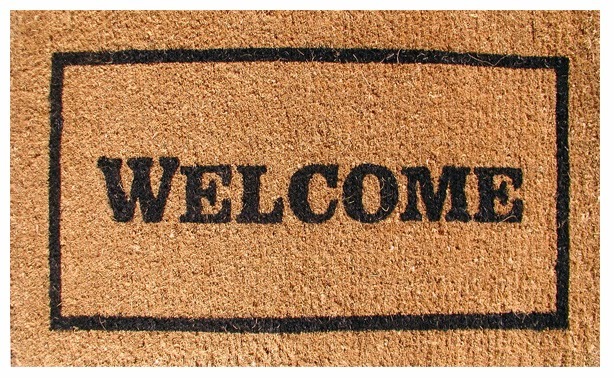 Hugh illustrated this “Welcome” message, with colourful images of door mats – some saying “welcome” and some with appealing pictures and messages, but the idea was always that we should welcome others in the same way that Jesus always makes us feel welcome when we come into his “house”. The children went out to Sunday Kids with Chris & Chrisanthi with a blessing. Bob read the two passages for us this morning. This short Psalm has a pragmatic approach to the expectation of God’s graciousness and blessings which we can anticipate if we Praise Him. 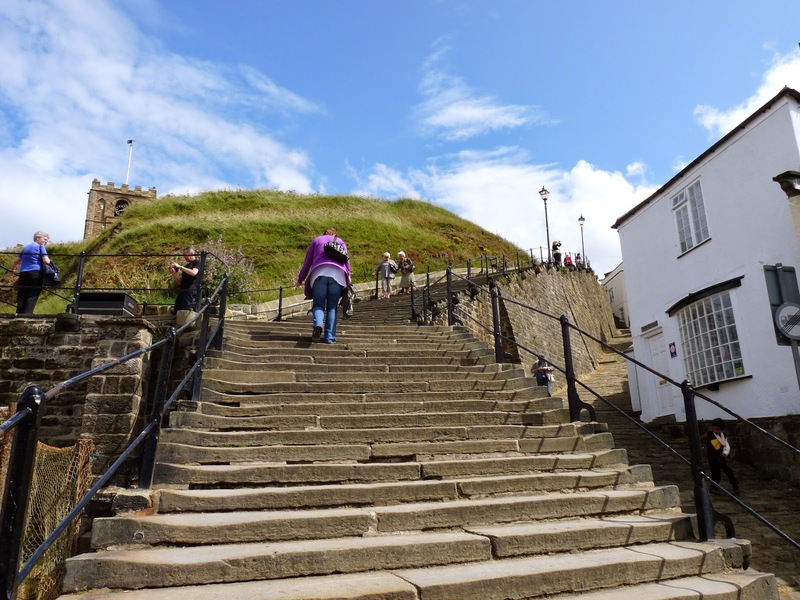 The passage in Matthew’s Gospel has some confronting thoughts for us to understand in the seeming dismissal by Jesus, of the Canaanite woman who asked for pity and healing for her daughter who was tormented by a devil. When she was persistent, the woman was rewarded for her great faith. Hugh began his reflection with a powerful and emotive description of “That kind of deep anguish that will not let you go? So deep and painful, that you wanted to scream?” He described what we have all experienced to some degree at some stage in our lives. “Sometimes it would sneak into your dreams, dreams so bad that you wanted to wake but could not. But then during the day it was even worse; the wounded child inside you crying out, wanting to be healed.” He reminded us that today there is greater understanding of this kind of inner emotional pain, which in Bible times were called demons. “‘Is he really the Son of God?’ the Canaanite woman wondered. ‘That’s what they say anyway. His words have power, they say’. To her, however, it doesn’t matter what other people said as long as her sick daughter received help.” It is a little hard for us to hear that, “Jesus answered not a word.” Then when the woman persisted he treated her very harshly and even humiliated her by using a common Jewish mocking term of the time. She accepted this willingly in order to persuade Jesus to help her daughter. I can’t help but admire her and as Matthew tells us, the heart of Jesus was softened by her great faith. Hugh told us; “If you look throughout history to those who had the greatest influences, you most often find that they possessed parents of great faith. They had mothers and fathers who prayed for them and did whatever possible regardless of the obstacles, just like the woman in today’s story..
Isn’t it an amazing learning that God could change his divine plans because of mother’s desperate, persistent and determined prayer? We need to pray for others; we need to pray for the church; we need to pray for the world. And above all, we need to persistently pray for our children and their children in this increasingly difficulty world. Frederik Herman Kaan was a prolific writer and translator of hymns after the end of the Second World War. Many of his hymns dealt with issues of peace and justice and were written as a summary to his sermons. He was born in the Netherlands in 1929 and lived through the Nazi occupation and witnessed the death of three grandparents from starvation. Just imagine the impact of such an experience! His parents sheltered refugees in their home and worked in the resistance movement and Fred became a pacifist and a Christian. He was confirmed in 1947 and moved to England where he began training as a minister in 1952. The last verse of this hymn certainly reflects Fred’s experience and helps us to grasp God’s mission for us today. Prayers of the People: Our prayers for the people were led by Hugh who began with thanks for the wonders and diversity of the world. He prayed for guidance for us to approach God for solace, healing and comfort and for help for us to make sacrifices so others may come to God. We prayed for those who are sick, those who have bad relationships and for captives everywhere throughout the world – and for war torn lands and countries where hope may be fading for many people. Our prayers were directed towards all in need – those known to us and those who are not known to us - yet in need our help and prayers. In the hope that all of us in this little church would experience God’s love and presence so others will be blessed by us, we joined together in the Lord’s Prayer. Hymn TiS 465 "Father in Heaven"
Daniel Thambyrajah Niles was a Ceylonese priest and evangelist who held many important positions in “the church” and was chairman of the Youth Department of the World Council of Churches between 1948 and 1952. He was appointed Executive Secretary of the Department of Evangelism in the World Council of Churches in 1953 and also served as chairman of the World Student Christian Federation. He was also one of the presidents of the World Council of Churches. But most of us remember him for his translations of beautiful lilting hymns we love to sing. The Benediction & Blessing “The Lord bless you and keep you; the Lord make his face shine on you and be gracious to you; the Lord turn his face toward you and give you peace.” Amen. Call to Worship The Lord be with you. Hymn TIS 627 ‘Praise and Thanksgiving’ A song thanking God for his provision of the simple things that sustain us and asking for the grace to share - not only in a practical way but also in a spiritual way that people will experience God's love. Thank you for bringing us here this morning, to gather around in this beautiful sacred place to worship and adore you. Dear God, help us to truly thank you in all circumstances. Especially when we have problems. Whenever we feel that our problems keep coming, one after another; whenever we feel that problems land on our laps at the wrong time; whenever we want to slow down or go somewhere else and do something else or simply stand still or lie down, help us to wake up to the fact that the rest of our life is just beginning in your plans. Help us to tremble with expectation and an even deeper longing for Your presence and Your leading in this hour. Make us be blessed to be a blessing to others. Prayer of Confession Hugh led us praying to our gracious God and Father who knows us better than we know ourselves. We approached God with confidence in his mercy and compassion. So often when things go wrong, we are quick to blame others; we are critical when kindness would be better; we doubt the power of faith and love and compassion. Give us knowledge of your work in creation, your goodness in all things and insight into ourselves. Therefore, we confess our sins, in the name of Jesus Christ. Hymn TIS 229 ‘Jesus loves me, this I know’ We know but sometimes we forget and run around trying to find our help elsewhere. For our every need, we should focus on God and his will. Readings: Brought to us by Joan. Ps 85.8-13; A call to listen to God for all the good things he has to offer, "for he will speak peace to his people". Surely this world needs that right now. Mt. 14:22-33. The story of Jesus coming across the water to the disciples during bad weather. Then Peter tries to do the same and sinks. Maybe like Peter we don't give God enough credit for being able to lift us from the rough water in our lives. a child. The Angel of the Lord told her, "Fear not, Mary, for you have found favour with God." The bible has many stories of people being afraid and being consoled by God or his agent and Hugh explained some of them to us but what it comes down to is that we should remember that God is our parent. He is always with us. He is always in control. Hymn TIS 422 ‘Come, Holy Spirit, come’ (Vss. 1, 3, 5 & 6) A prayer that the Spirit will work God's will in us. What a people we could be if we kept this prayer throughout each day. Final Hymn TIS 724 ‘Hosanna, Hosanna’ As is only right and true - all honour and praise is owed to God. Benediction May the Lord bless you and keep you: may he make his face to shine upon you. Now may the blessing of God the Father, Son and Holy Spirit be with you all, evermore. Amen. The Call to Worship Our service today was led by Hugh, with Grahame and Mavis playing the organ and piano, respectively. These words are from: Psalms, Hymns, and Anthems of the Foundling Hospital, by Thomas Coram, 1796 (verses 1 & 2) & Edward Osler, Church and King, 1836 (verse 3). London’s Foundling Hospital was an orphanage that became famous for singing. It was founded in 1739 by a merchant Thomas Coram who was involved in the Wesleys’ evangelistic efforts. Prayer of Adoration and Confession: Hugh asked us to adore, praise and rejoice in our God of Power and Glory; our provider and our source of comfort, who is always with us, our God who never abandons us, our God who takes care of us, our God who protects us and watches over us. From beginning to end you are our God — our God who knows us, our God to whom our lives belong, our God to whom we all go home. Offering / Prayer: Our offering was gathered by Val & Pat with help from Charlie and Calliope and we thanked God for everything. Hugh blessed the gifts and the givers. William Augustine Ogden wrote this beautiful harmonious hymn. Perhaps his own male choir, organized during his army service in the American Civil War, may have sounded nearly as good as our “boys”, .Malcolm, Grahame, Stephen and Hugh who were accompanied by Mavis on the piano. A Prayer for the Teachers and children was offered by Hugh before they went to Sunday Kids. Hymn TiS 526 "Lord Jesus Christ, You have come to us"
into our lives your power breaks through, living Lord. I just love this positive empowering hymn and the way it has a lilting swing and makes us feel like we are much better singers than we are. Read for us by May. “The Lord is gracious and compassionate, forbearing, and constant in his Love. The Lord is good to all men, and his tender care rests upon all his creatures.” These two verses from Psalm 145 are more than enough to give us a feeling of peace and love. The prelude to the story of the feeding of the 5,000 was the news of the death of John the Baptist being brought to Jesus and his need expressed in verse 13, to withdraw “privately by boat to a lonely place.” It is easy to understand the deep sorrow of Jesus, but in a demonstration of the constant love of God, Jesus unselfishly responded to the crowds who came seeking him. He showed nothing but care and compassion – even insisting they should be fed and not sent away for food as it became late. I have never before noticed the part of this story that reads: “Some 5,000 men shared in the meal, to say nothing of the women and children.” Interesting! We could discuss the miracle in general. We could talk about why such crowds would want to hang around the remote countryside after Jesus. We could simply focus on the generosity of the little boy who had given up his own meal for other people; Hugh said. It was natural at that time that most of the people would carry with them a little pouch containing food and water. If God had wanted to miraculously multiply fishes and bread, that’s wonderful. If God had opened up people’s hearts to share with one another, that’s great, too. But the point that I’m going to focus on today is…. ‘how did it all start?’ People were fed. Everyone had plenty to eat, and baskets full of food were still left over. And everyone was happy. But how did the incident all begin in the first place? I’d like to say this morning that our confidence and our possibility come from Jesus and his presence only. If we only focus on ourselves and what we’ve got in our hands, then we will always end up doing things that only our hands are capable of. If we focus, however, on Jesus and his hands, anything is possible. Nothing is impossible in his hands. Our Faith journey is about being sure of the things that we cannot see. It is about being certain of the things that others say are impossible. Our Christian life is to keep focusing on Jesus and take the road. That Jesus, who had fed those five thousand people with the handful of loaves of bread, is still with you in your ordinary life. That same Jesus who had said to the disciples, “You give them something to eat” still expects you to do the same thing. And I still believe… if we are willing to give up our small things from our lives for the sake of Jesus and His ministry, and his church, it will always turn out to be something miraculous and we’ll be blessed to be blessings for many people. Someone wrote a few years back: “A basketball in my hands is worth about $15. A basketball in Michael Jordan’s hands is worth about $30 million. It depends whose hands it’s in. Jesus’ hands transformed everything he touched. The question is…. Do you really want to experience it? Then take the road! Prayers of the People: May also led our prayers for the people this morning, with many thoughts for the places in the world where tragedy and wars are causing grief and fear. She spoke of the people who give their time and help for those in need and prayed for the people we know who are sick or in trouble of any kind. “Let the peace and quiet of Your presence take rest in us. We await Your peace and healing.” Then we all joined together in the Lord’s Prayer. We Shared the Peace then with the table prepared we shared the Communion meal of bread and wine together at the sanctuary rail with Pat and Colin helping Hugh. Holy, holy, holy, Lord God of hosts, heaven and earth are full of your glory. Glory be to you, O Lord most high. Christ has died; Christ is risen; Christ will come again – We will be transformed to be Your Kingdom People. John Lamberton Bell is a member of the Iona Community and a Church of Scotland minister and his “Summons” hymn delivers a challenge so clear and simple in its message; we really do want to say YES and follow the road - when the Lord calls us by name. The Benediction & Blessing We were sent out by Hugh with the words: “May the Lord walk before you to guide you, hover over you to protect you and your families, and live in you to strengthen you, and…the blessing of God the Father, Son and Holy Spirit go with you now and forever” Amen.